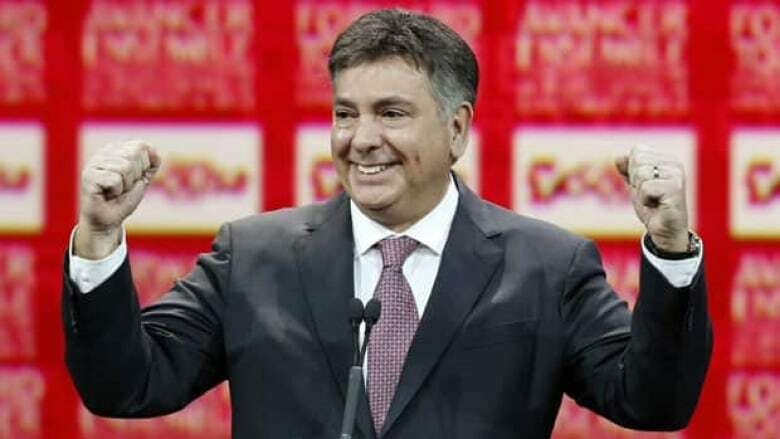 Finance Minister Charles Sousa says Ontario drivers will see some relief in Thursday's budget. He says the budget will set a target to drop auto insurance premiums on average by 15 per cent. Thursday's budget will set a target for auto insurance premiums to drop by 15 per cent on average, but that doesn't mean all Ontario drivers will get the same amount of relief on their insurance costs. It's also unclear when drivers will start seeing their rates drop, Finance Minister Charles Sousa acknowledged Tuesday. "My proposal would be to maintain some flexibility, so that we can achieve those targets as quickly as possible," he said from a Canadian Tire garage in Toronto. "But we need to ensure we have oversight and that we work collaboratively with the industry and find ways to implement those targets as quickly as possible." The minority Liberals' latest pre-budget announcement is widely seen as a sop to the New Democrats, whose support is needed to pass the budget and avoid an election. On their list of demands is a 15 per cent cut to premiums across the board within a year through Ontario's insurance regulator. But that's not exactly what the New Democrats got from Sousa. The proposed legislation will have "some teeth" so that the province is monitoring reductions in claim costs and making sure that the savings are passed on to drivers, he said. But it's a "complex problem" that requires that the government work with insurers. Claims in Ontario are ten times higher than elsewhere in Canada, Sousa said. "That's just not acceptable," he added. "So we need to deal with those things effectively. That may take time." The draft legislation would require insurers to offer lower premiums to people with safe driving records, Sousa said. It would also expand the provincial insurance regulator's investigation and enforcement authority to ensure that insurance companies are passing on their savings to drivers. To help crack down on insurance fraud — which the insurance industry says is the main driver of high rates — Sousa is promising to give the Financial Services Commission of Ontario the authority to license and oversee health clinics and practitioners who bill insurers. Guidelines that set out the responsibilities of insurers and claimants when dealing with accident benefit claims will also be binding, Sousa said. Sousa said he anticipates that the measures will reduce the average annual premium per vehicle by $225 for all drivers. But some regions in the province don't have as much of an impact on insurance premiums than others, he said. "In certain circumstances, let's be realistic, there's going to be areas where we need to ensure that those risks are eliminated, and that is what we need to do to enable those rate reductions to occur in those areas that are at a higher risk," he said. NDP Leader Andrea Horwath said she'll wait for the budget before passing judgment. "We have not yet seen any details from the government and we want to look at the budget closely," she said in a statement. "New Democrats have made it clear we want to see a plan that works for drivers and reduces their premiums by 15 per cent over the next year." The insurance industry maintains that they have turned very little profit in Ontario and it's fraud and abuse of the system that's driving up rates. The proposed changes aren't perfect and there should be other changes made that would allow insurers to achieve that target, said Ralph Palumbo of the Insurance Bureau of Canada. "We haven't seen the budget, nor do we know what they're going to do down the road in terms of further reforms," he said. "Until we know all that, the jury's still out. But at least this is a lot more responsible than what the NDP was saying." The governing Liberals cut auto insurance rates by 10 per cent in 2004, after they took office. Rates went down 10.6 per cent on average, according to a spokesman for Sousa. But they went up again about six to 10 months later. The Liberals initially said that targeting insurance fraud would lower rates, but supported an NDP motion last month calling for a 15 per cent cut to premiums. The New Democrats have said they support the government's plan to reduce fraud, but more can be done to provide relief for drivers.